We Provide Quality Services to Meet All Your Needs! When there is a leak that occurs underground, it can be a huge mess to try to get to it and replace whatever the problem is. In the past, the only option to fix an underground leak, was to dig giant trenches and get to the problem that way. There is another option called trenchless sewer repair, which will allow there to be no major digging to get to the problem. This will alleviate the stress of having to have your yard dug up to replace or repair a pipe or line underground. It is important that you have a company that you trust doing this kind of work because it takes experience and skill to do it the right way. 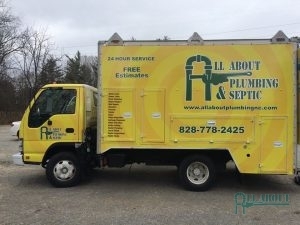 At All About Plumbing & Septic, we are experts in trenchless sewer repair and will be able to walk you through the entire process so that you won’t be overwhelmed or not understanding what is going on. When you call our team at 828-778-2425, we can set up an appointment time that works for you and will allow you to ask any questions that you may have. We are dedicated to making sure that you are satisfied through every step of this process. We know that choosing to have a trenchless sewer repair in Mills River, Hendersonville, and Asheville, NC is a scary option, but it is the most effective and safest way to get the job done right. Check out our list of benefits that come along with this route so that you can fully see that your option will naturally come back to this one. We are here to answer any questions that you have and will be there for you 24 hours a day if you need us. When Can You Use Trenchless Sewer Repair? Trenchless sewer repair can be done when there is a leak in your sewer line that ends up being underground. 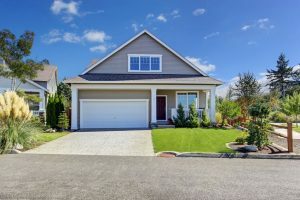 Often times a leak will be discovered under your home, driveway, or even in the middle of your yard and it can be extremely difficult to get to. If your business cannot be disrupted by large machines and time-consuming work, a trenchless option is the right way to go. This will allow for less time to be spent on repairs or replacements and a faster and less messy turn around time. Keep your landscape intact and allow your daily routine to stay the same so that your leak can get resolved and there is virtually no downtime. The best thing you can do is have one of our plumbers come out and find the leak to be able to determine what would be the best option for you. We will be able to tell you what we think you should take into consideration and then you will, of course, have the final say on what gets done. Don’t Ruin Your Beautiful Yard. Choose a Trenchless Sewer Repair. There are many benefits to trenchless sewer repair compared to the traditional way where digging trenches to get the lines is the only way to do a repair or replacement. Here are a few benefits that make this process a more efficient option. Quicker – The trenchless option is a much more effective option that takes a lot less time. This also means that it will be cheaper because it will take the plumbers less time to do the work. This will help you avoid having a construction crew in your yard or in front of your building for days at a time. Trenchless digging will usually be able to be finished in a few days rather than a week or so. Cheaper – The process of trenchless digging is cheaper for many reasons. One reason is that it does not take as long to get finished because there is no need for large equipment or large crews of people. A trenchless job is also cheaper because it takes less time than the traditional way which means less hours that the plumber has to bill or be there for. Quality Is Better – When you use a trenchless sewer repair, the materials that are used are different. They are higher quality and are better to have lined inside of the pipes. These materials are made to not rust or have any issues with corrosion as well, so they can last longer. Trusting someone to make sure that the job is done right is important. All About Plumbing & Septic is here to make sure that you have options and that everything is always taken care of the best and right way. Call our team of professionals at 828-778-2425 when you need to have a trenchless sewer repair in Mills River, Hendersonville, and Asheville, NC. There are endless benefits to this method and as long as it is done right, it will stop all of your sewer issues that you have been having. Updated on January 22, 2019 at 2:08 pm by All About Plumbing.